Cities Connection Project | 16 HOUSING UNITS AT FORUM. BARCELONA. 16 HOUSING UNITS AT FORUM. BARCELONA. 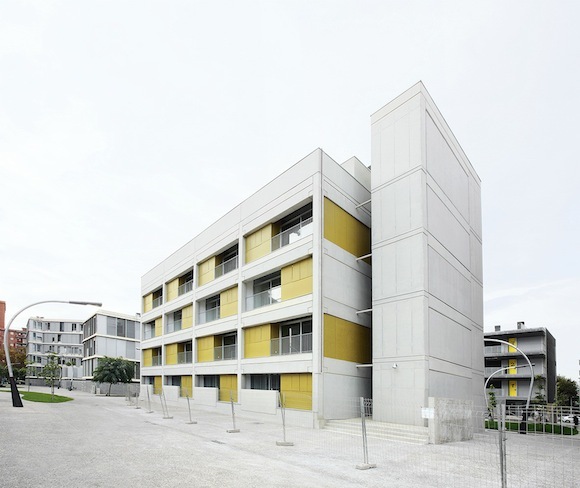 Industrialization and prefabrication are the starting point of the design concept of this social housing block. There was an aim to import the efficiency of techniques commonly used in other construction fields, such as industrial sheds, to the domestic realm. There is a clear division between supporting structure and enclosures. On one side there is a prefab structure made of concrete pillars, beams and floors and on the other side there are some closed modules that organize and arrange the space inside the dwellings. The structure is neutral, the most simple possible while long-span. It is an useless element by itself. 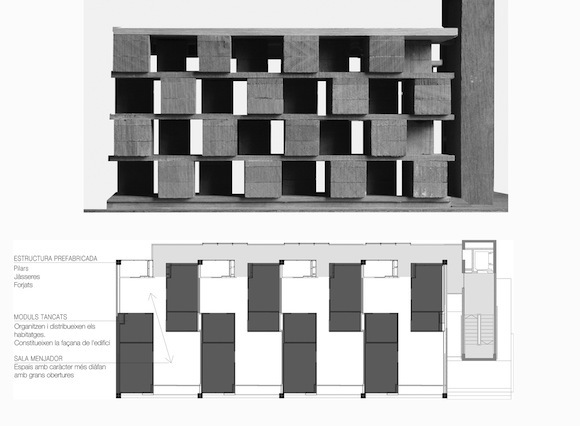 By laying some modules on it, the structure becomes a qualified space. Those “boxes” turn the neutral structure into a comfortable space, a space for living. At the same time, by placing these modules on the building perimeter, they configure the facade, which is not regarded as an added element. South-North orientation is provided to each apartment, so that good insulation and ventilation is guaranteed. The interior is organized by placing more intimate pieces (bedrooms and bathrooms) inside the “boxes”, while living and dining spaces are outside them, so they can offer an open plan layout.